Christian Wilhelm Schmidt, from Rottenburg in Germany, was a 22-year-old captain in King George III’s Royal Foreign Artillery, and he came to Canada because of the American War of Independence. He settled in Halifax and married Elizabeth Pedley, the daughter of the British merchant and landowner James Pedley. When Pedley died in 1807, he left his daughter Elizabeth a large plot of pasturage named Pedley's Field, located outside the city palisades. 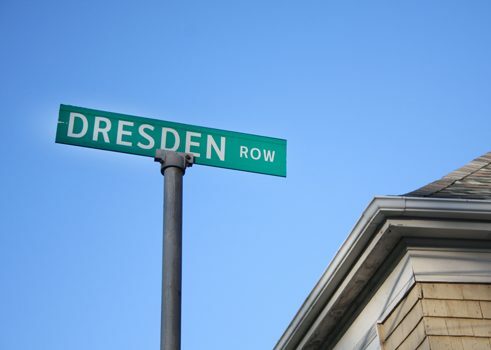 In 1830, two years after her husband Christian Schmidt died, Elizabeth divided the land into 79 building lots that stretched between Spring Garden Road, Dresden Row, and Morris Road. The names of the streets Dresden Row and Rotenberg (today called Clyde Street) refer to Christian Schmidt's German heritage, and Birmingham Street was named after Pedley's birthplace in England. The region quickly developed into a lively little suburb populated by merchants, artisans, sail makers, and fresco painters. It was given the name Schmidt's Village, and was distinguished by its simple Gregorian-style buildings. The neighbourhood's growing popularity and climbing prosperity led to the additional construction of a scattering of Victorian-style buildings with elaborate ornamentation and mansard roofs. Another architectural feature of the area is the presence of mirror-image cottages, which have identical but mirrored floor plans and are comprised of two single-family houses attached under one roof. During the 20th century, Schmidtville was home to lots of immigrants of German, Irish, English, Italian, and Scottish heritage. Several plots were converted into commercial retail properties, which served as supermarkets, laundries, tailors, and tobacco stores. 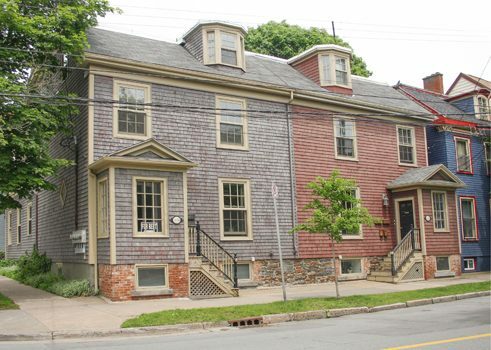 Following the Halifax Explosion in 1917, the two-story houses were built up another story to make up for the sudden lack of housing in Halifax. After the Second World War, the neighbourhood's housing situation worsened as the population moved to Halifax's suburbs. Half of the houses were torn down and converted to parking lots during the city's modernization in the 1960s. However, a large part of the original Schmidtville was saved by a government-financed program recognizing the neighbourhood's value, which carried out careful renovations and brought new owners to the area. 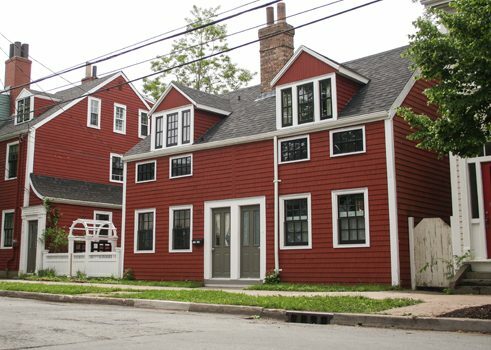 Today, Schmidtville is once more a lively neighbourhood in the heart of Halifax, and it presents a direct connection to the history of the early settlers.